Praise from our customers is the best information you can use when selecting Precision Roofing for your roofing project. You have a very formal safety and training program. On behalf of the Accident Fund, I would like to commend you on your favorable loss history and strong commitment to safe employee work practices. Our metal roof leaked since the building was built. 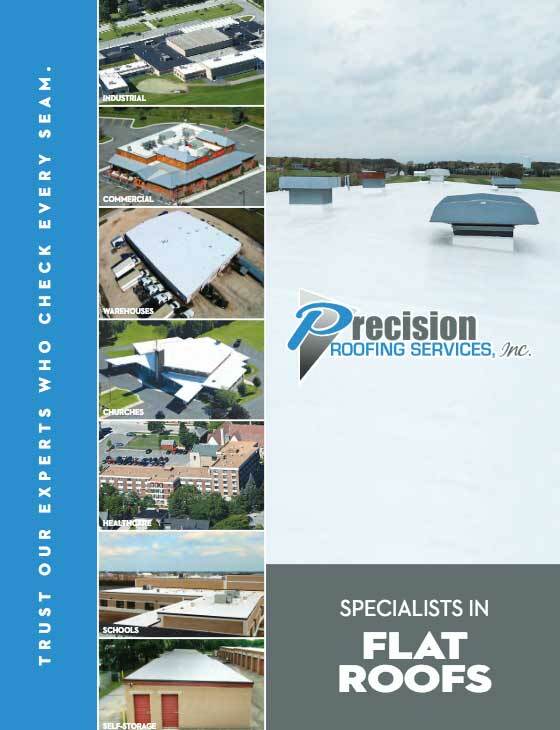 After several attempts at maintaining a leak-proof roof, we decided to call Precision Roofing for a quote. They proposed installation of a Duro-Last commercial flat roof system over our existing metal roof panels. Not only did the leaks stop, but we now have a white membrane to reflect heat away from our freezers and coolers. We would highly recommend Precision and their crew! We were very impressed with the professionalism of the crew and the product quality. I have since recommended Precision Roofing and Duro-Last for our local school roof replacement project. We were looking to replace the rubber roof membrane at our church. The folks at Precision Roofing provided a bid for a commercial flat roof system. We couldn’t be happier with the installation and the product and highly recommend Precision for flat roofs anytime. 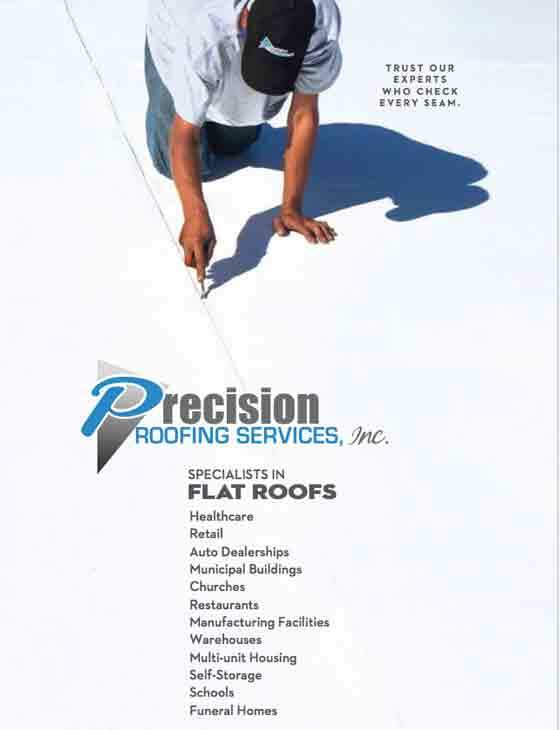 We choose Precision Roofing to install a new roof on our factory. Precision offers value and quality. The entire process of eliminating the old built-up roof and installation of the new roof was hassle-free. We are very happy with Precision Roofing and will use them for future roofing projects. Joe V., Paper Box & Specialty Co. Precision Roofing was an INTEGRAL PART of the design and installation of our new commercial flat roof. The old metal roof was leaking at the gutter edge whenever we had ice in the gutters. Our new roof solved all the leaking problems. We hired Precision Roofing to install a commercial flat roof on the rest of our building too. Great company to work with! Great employees! The built-up roof over our Service Area was a problem for many years. This area leaked with melted snow and rainstorms. We hired Precision Roofing to install a commercial flat roof and since then we have not had any problems with leaking. We look forward to many years of service from this roof. After all of the troubles that we had with our EDPM rubber roof, we knew that our next roof would be a different type of product. Precision Roofing specified the Duro-Last Commercial Roofing System for our manufacturing building. After the roof was installed, we can now concentrate on what we do best and not have to deal with a leaking roof! We are very happy with the new flat roof and the repairs done on the shingled roof. The work was completed in a very professional manner and was finished quickly. We are very pleased with the results of your work and would recommend you to others.